Marriage Ministry: The Power of Us! 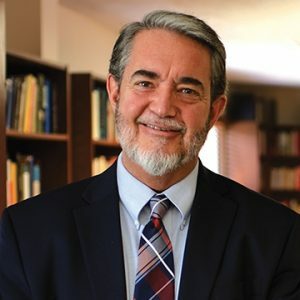 Don’t miss Scott Hahn and the St. Paul Center at Holy Family Catholic Church in Jacksonville on Saturday, September 14, 2019. Study Scripture with one of the Church’s most renowned biblical scholars today. Go deeper into the riches of our Catholic faith—register now! To register for Vacation Bible School –click here. Tenebrae, which is Latin for “darkness”, is a celebration that dates back to the 9th century. During the service, candles are gradually extinguished following scripture passages and musical reflections, which call us to meditate on Christ’s ultimate sacrifice the Cross. As part of our Lenten almsgiving, we will be having a Food Drive for Holy Thursday. Please bring nonperishable food items to the Narthex. A sample of the donations will be presented in the Offertory Procession at the Mass of the Lord’s Supper on Holy Thursday evening. Thank you in advance for your generosity! Sunday 7:30 am (please note time change), 9:30 am, and 11:30 am, and 5:00 pm Mass. “Christian iconography expresses in images the same Gospel message that Scripture communicates by words.” (Catechism of the Catholic Church 1160). To help prepare our hearts for the Easter Season, parishioner Nick Yovanovic will be displaying his collection of over 20 Icons and sharing his knowledge of how this ancient art form can lead us to a deeper awareness of God’s love. Please join us Tuesday, April 2nd at 7:00 pm in the Parish Life Center, Room 217. All are welcome! Calling all Youth and Parents of Holy Family Parish! Parents to attend, as our guests, a private showing of the movie Unplanned. This is an incredibly-powerful story of Abby Johnson, a former Director of Planned Parenthood turned into a pro-life warrior. We hope you will be able to join us! To reserve your spot, please e-mail, Stael Dante, Director of Youth and Young Adults, at sdantes@holyfamilyjax.com. Seating is limited and reservations are on a first-come-first-served. There is no cost to attend. Sunday, March 17th – Don’t Miss Sarah Kroger & Dom Quaglia! The days of the mission are March 11th through 14th , after the 9:00 am Mass and again at 7:00 pm. We are looking forward to seeing you at the Mission! Please join your fellow parishioners in celebrating the Feast Day of St. Joseph, one of our Parish patrons. His Feast Day is Tuesday, March 19th. St. Joseph is a powerful patron. He is, as St. John Paul II called him, the Guardian of the Redeemer. He humbly accepted his role as guardian, husband and father in the Holy Family. Therefore, St. Joseph’s intercession has been sought for centuries. On the back of this flier you will find a Novena to St. Joseph; this is a nine-day prayer that starts on Sunday, March 10th and ends on Monday, March 18th. We invite you to join us in prayer. A traditional part of the Feast of St. Joseph (which is particularly celebrated by the Sicilians) is a three-tiered altar, representative of the Holy Trinity. The altar is adorned with flowers, pictures, statues, and linens, each significant to St. Joseph, the Holy Family, and/or Italian Tradition (e.g., the color red is traditionally used). Special bread is put on the altar, representing the feast and almsgiving. Breadcrumbs (“sawdust”) and some tools may be used to underscore St. Joseph’s patronage of carpenters and homes. Some families create St. Joseph tables in their homes. • Visit our parish’s St. Joseph’s table, which will be set up in the Narthex from March 16-19. • Honor the traditions of charitable giving by donating to our St. Vincent de Paul society or to the Refugee Ministry (or another charity of your choosing). (Begin on March 10) Saint Joseph, you are the faithful protector and intercessor of all who love and venerate you. You know that I have confidence in you and that, after Jesus and Mary, I come to you as an example for holiness, for you are especially close with God. Therefore, I humbly commend myself, with all who are dear to me and all that belong to me, to your intercession. I beg of you, by your love for Jesus and Mary, not to abandon me during life and to assist me at the hour of my death. Glorious Saint Joseph, spouse of the Immaculate Virgin, pray for me to have a pure, humble, charitable mind, and perfect resignation to the divine Will. Be my guide, my father, and my model through life that I may die as you did in the arms of Jesus and Mary. Guardian of the Word Incarnate, I feel confident that your prayers on my behalf will be graciously heard before the throne of God. Day 1 (3/10) – St. Joseph Most Just, Pray for us! Day 2 (3/11) – St. Joseph Most Prudent, Pray for us! Day 3 (3/12) – St. Joseph Most Loving Husband, Pray for us! Day 4 (3/13) – St. Joseph Most Strong, Pray for us! Day 5 (3/14) – St. Joseph Most Obedient, Pray for us! Day 6 (3/15) – St. Joseph Most Faithful, Pray for us! Day 7 (3/16) – St. Joseph Pillar of Families, Pray for us! Day 8 (3/17) – St. Joseph Patron of the Dying, Pray for us! Day 9 (3/18) – St. Joseph Terror of Demons, Pray for us! Glory be to the Father and to the Son and to the Holy Spirit, as it was in the beginning, is now and ever shall be, world without end. Amen. For the original, please click here. Of Human Life (in Latin, Humanae Vitae) is a clear and concise papal encyclical that is even more relevant today than when it was published just over fifty years ago in 1968. Highly useful in understanding today’s discussions on the sanctity of life, it addresses human beings’ role in creation in just twelve pages, and in clear and simple language (it can easily be found on the USCCB Website). As our Church, our world and our nation focus critical attention on the “Right to Life” and other life-related issues, we will be highlighting this key Church document of our times in this weekly bulletin corner as well as on the MyParish App. From now to Lent, each week’s installment will showcase one aspect of Humanae Vitae to help inform us, and to lead to follow-up discussion. For us as the laity, it’s not just a scholarly read, it’s a practical one! Over the next few weeks, the Faith Formation Committee will be sharing selected excerpts from the document to help inform us and deepen our faith. This is the first Note. In light of current events the message of Humanae Vitae remains just as relevant today as when it was first written. Continuing our look at Humanae Vitae (Of Human Life). We see that it was written in the aftermath of many recent grim experiences: two world wars, several massive genocides, the Holocaust, and the new science of eugenics (selective breeding of human beings to enhance or diminish particular traits). Pope Paul VI invites us to examine both personal and public behaviors in relation to the common good (the moral law and God’s plan for mankind), because he realized that the misapplication of a number of industrial and scientific discoveries would result in wide-spread abuses of human rights and dignity. China’s historic “one child policy” gives but one worrisome example of how the message of Humanae Vitae was and is highly relevant to us today. “Of Human Life,” Humanae Vitae was composed in the late sixties to address social and scientific changes of the day, and to offer guidance as to where these changes could lead. The pope appealed to secular leaders, scientists, educators, as well as to the lay faithful, families, and all bishops and priests to come to a better understanding of the balance between mankind’s desire for self-determination and the reality of God’s infinite love, desires, and plan for each one of us. Humanae Vitae’s authors challenge us to examine the important role secular society has in promoting the public good and sound moral development. “We take this opportunity to address … all those whose right and duty it is to provide for the common good of human society… to the need to create an atmosphere favorable to the growth of chastity so that true liberty may prevail over license and the norms of the moral law may be fully safeguarded. “Humanae Vitae” has much to tell us about today’s challenges indeed! Continuing our reading “Of Human Life,” we now turn our attention to the topic of vocations, especially the vocation of marriage. “Marriage …. is in reality the wise and provident institution of God the Creator, whose purpose was to effect in man His loving design. As a consequence, husband and wife, through that mutual gift of themselves, which is specific and exclusive to them alone, develop that union of two persons in which they perfect one another, cooperating with God in the generation and rearing of new lives. Humanae Vitae tells us much about what we should aspire to in the love fulfilled in Holy Matrimony. We conclude our review of Pope St. Paul VI’s Humanae Vitae with a look at his remarkable insights on new life brought about through the vocation of marriage. From a vantage point fully aligned with God’s plan for creation, “On Human Life” gives timeless insights into the purposes of married life, while outlining reasonable options for responsible parenthood. Click here for more background reading is on the United States Conference of Catholic Bishops website. 1st Reconciliation Reflection Day will be Sunday, February 24th, from 2:30 – 4:30pm. We begin with prayer in the church. The Sacrament of Reconciliation will be on Thursday February 28th at 6:30pm. We continue the journey every Thursday, in the Parish Life Center, Room 211 from 7:00 – 8:00pm. 10:00 – 11:30 am in the Parish Life Center, Room 211. Sessions on Tuesdays in the Parish Life Center, Room 217A, 7:00 – 8:00 pm. For more information, contact the Director of Faith Formation, Maria Petrotta at (904) 641-5838, Ext. 254 or mpetrotta@holyfamilyjax.com.